By now, you’ve likely seen it. I hope you have. The Cake Seen ‘Round The World. Rachael Tuefel of Intricate Icings made what I think might be the most stunning cake I’ve ever seen. From one side, it’s the simplest of three-tiered cakes. No decorations. No frills. Nothing. Though it does happen to have stunning proportions. But, much like Gustavo Fring’s death scene, a 180° change in perspective reveals a whole different scenario. Right now, this post has 5,429 likes. It will likely be more as you’re reading this. It’s beyond stunning and I’m clearly not the only one who thinks so. It’s been featured on Delish and Buzzfeed and HuffPo to name a few. It’s will probably be on The Today Show by week’s end (Ever notice that cycle? Reddit, then Buzzfeed, then Today Show, then local news?). I can’t congratulate Rachael enough on creating something that so clearly resonates with so many people. It may be one of the most awe-inspiring confections I’ve ever seen. Have you ever seen a geode before? Ever seen a geode cake? Probably not. That’s because Rachael took her inspiration from something outside the wedding/event industry. It’s something I’m very passionate about. This industry can be so self-referential. So inbred. Just look at most wedding vendors’ pinboards. They’re full of pins from weddings and events. The good ones? The wedding planners and designers worth watching? Their pinboards are full of nature and architecture and fine art and interior design. Your wedding should be a reflection of you and your betrothed. It should be an event that your guests could recognize as yours just by walking into the room. If your wedding vendors don’t know how to interpret outside inspiration into events, how are they going to make your wedding you? 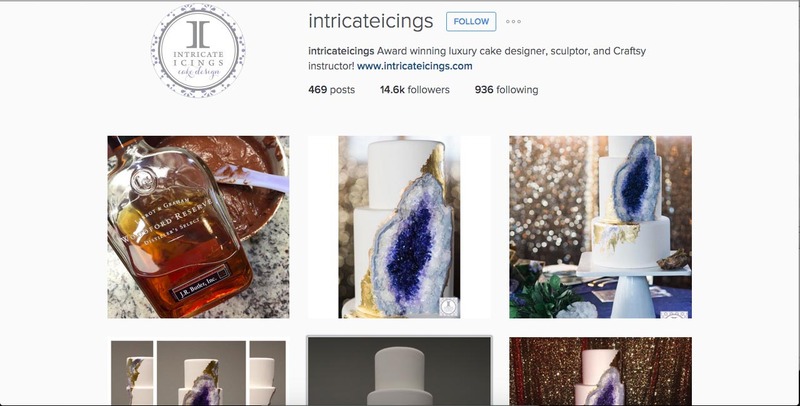 By this summer, we’ll be seeing geode wedding cakes all over the blogs. Brides and grooms from around the world are thinking about their weddings – it’s engagement season, afterall. And they’ll see this cake and want it because it’s cool. But how much sense does it make for most couples? Marrying a geologist? Then it makes a ton of sense! But if you’ve never actually held a geode in your hands, maybe there’s a better option? Just like mason jars and typewriters, it’s going to be a trend. And there’s nothing wrong with liking things that are trendy. You deserve better than a generic, trendy wedding. Whatever your budget is, you can have a wedding that celebrates your love in a way that’s uniquely you. Wherever you are in the wedding planning process, I urge you to be stubborn about making sure every detail is true to who you are. Hire vendors who understand that. Tell them stories about your childhoods and dating and the proposal. And trust them to craft a wedding that could only be yours. Sign up for A Fine Press’ mailing list below.